Whoa guys, what’s up? How is everyone? I’d love to hear from you guys about your day. yep. my new hallowe’en costume. My day is going great. How is yours? 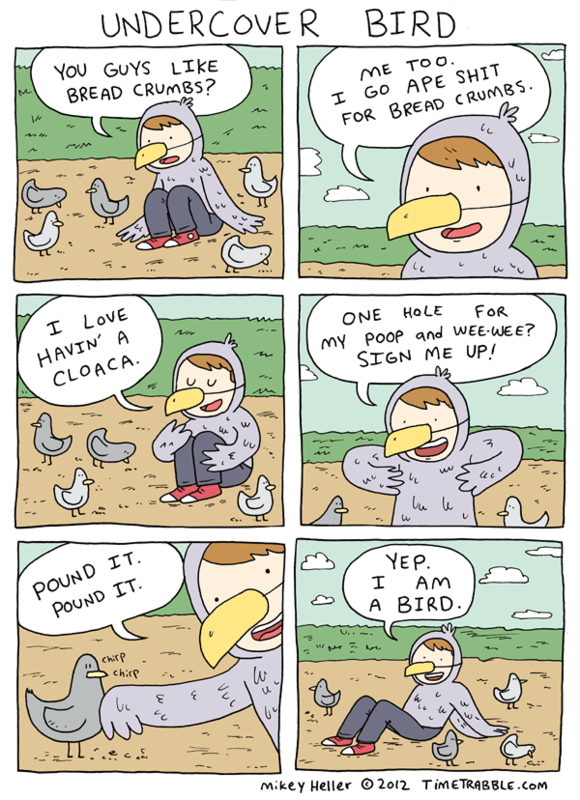 You have convinced me to be a bird. You should be a lawyer. Wait, I’ve actually kind of wanted to do a bird costume for Halloween. Good to know I’m not alone in the universe.